This week I have another mixed selection of fauna and flora to share with you. My favourite is of one of a family of Wood mice (Apodemus sylvaticus) that currently reside beneath my garden shed. This is the first time I've seen any of them during daylight. Those who regularly follow my blog may remember the one from my Danger Mouse video taken with my wildlife trail camera last June? 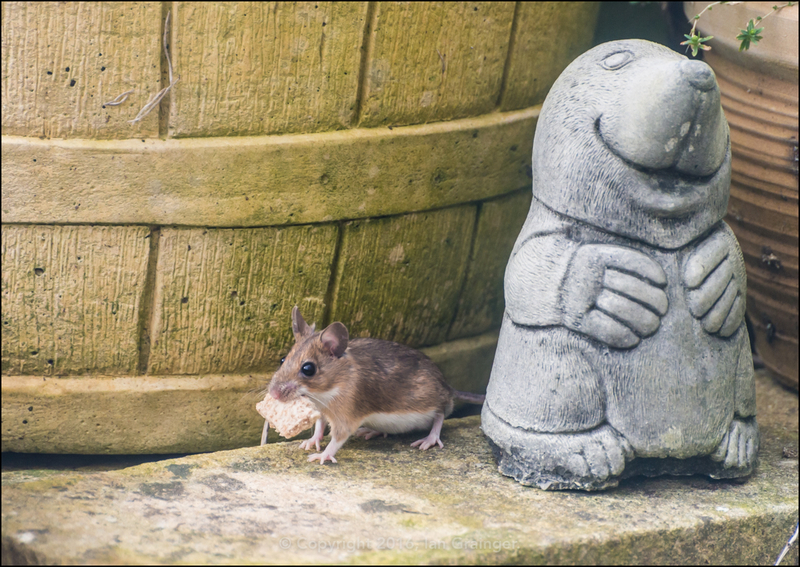 This enterprising individual was taking advantage of the bread I'd recently scattered around the garden for the garden birds. He scampered back and forth between the shed and the top of the garden several times, probably collecting a couple of slices of bread in total. 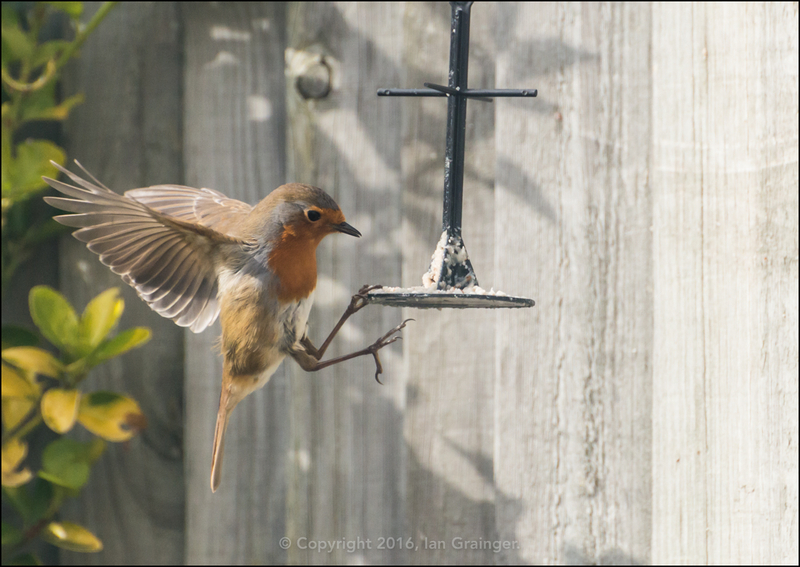 Last week I introduced you to one of a pair of robins that have taken up residence in one of my garden bird boxes. I've been paying close attention to them and this week witnessed one of them attempting to retrieve food from this nearly empty feeder. What was remarkable about this was that once successful, it would fly to its mate and feed it instead of consuming the food itself! Meanwhile, although progress in the garden remains slow, there has been at least one new arrival. 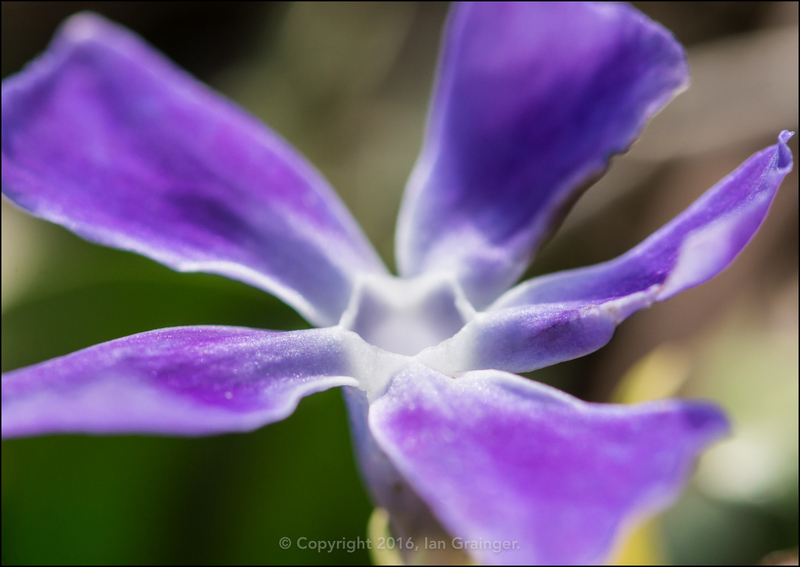 This pretty Periwinkle (Vinca major) bloom appeared in a border over the weekend. 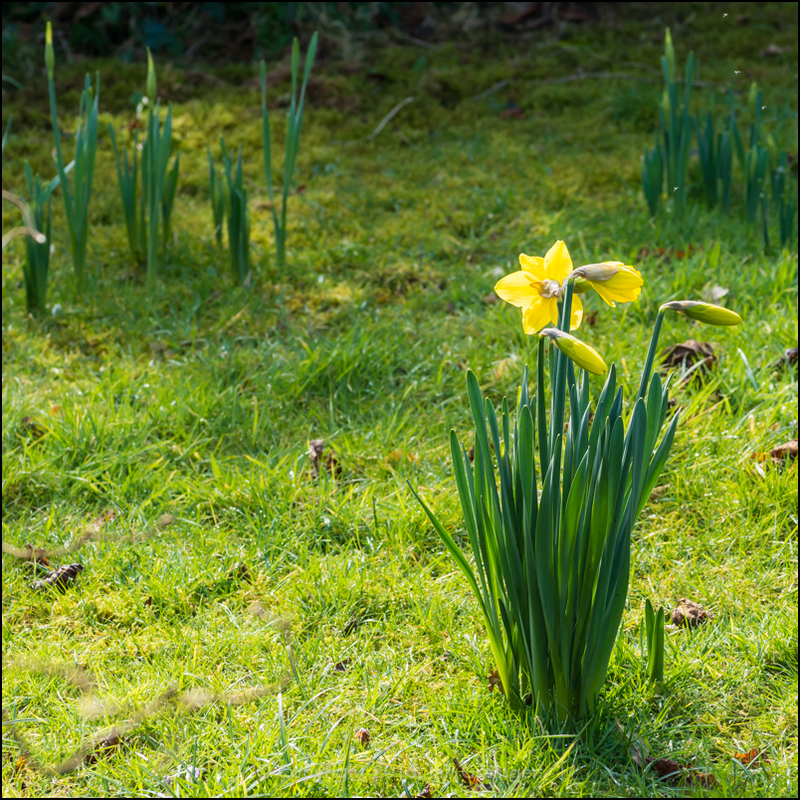 There has also been some slow progress with the Daffodils, with small clumps finally coming into bloom. I had been hoping that all of the clumps would flower simultaneously, as it would make a great photo opportunity, but it doesn't seem likely to happen this year. 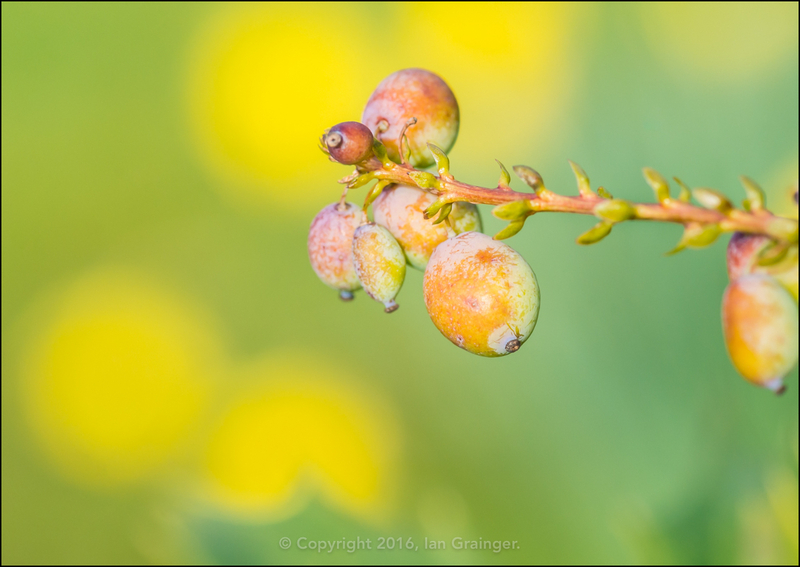 The Mahonia japonica bush is now producing berries, and they seem to be ripening nicely. I quite liked how the Daffodils in the lawn behind gave these a colourful setting. 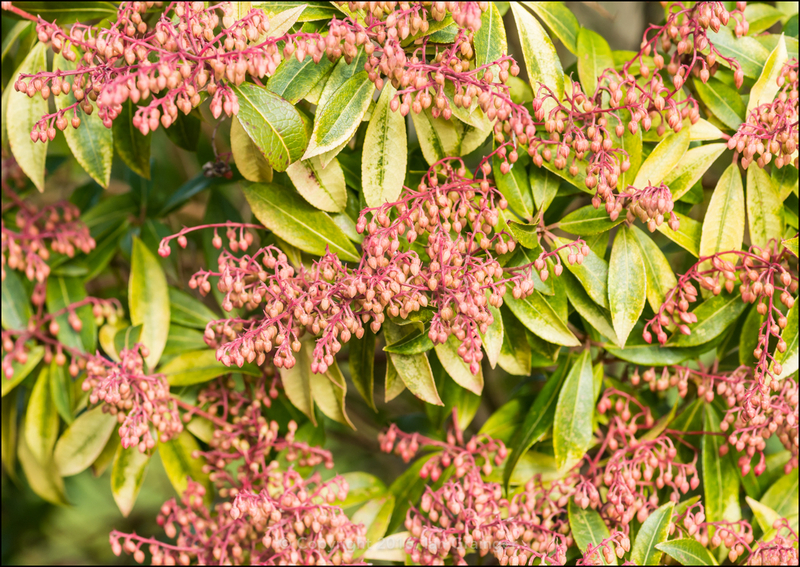 The Forest Flame (Pieris) bush continues to produce a huge number of flower buds, and should be looking spectacular very soon. Watch this space to find out what they look like when they all open up. I guarantee that they look nothing like you think they will!! 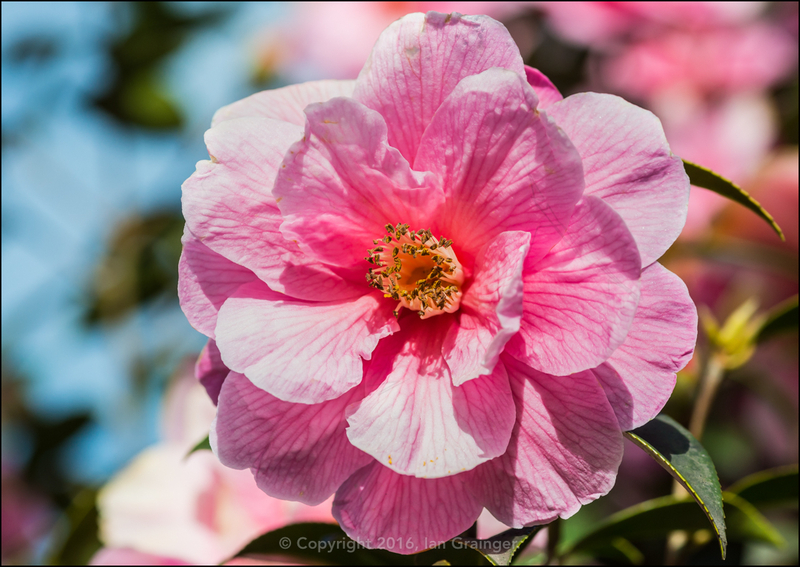 For completeness sake, here's another shot of the fantastic Camellia that just seems to keep on producing wonderful blooms.